Between mother nature and Pittsburgh traffic, there were many reasons not to venture out of the house last night. Yet, we kept our reservations at Tymaz and were blown away by the Middle Eastern offerings found at this West View restaurant. 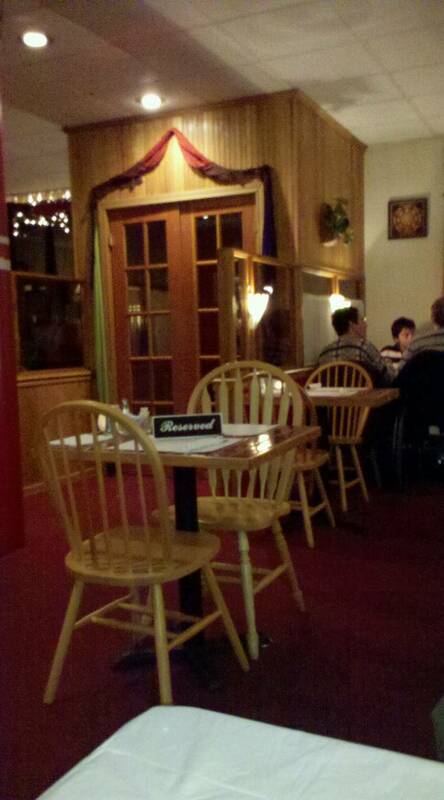 Upon arriving, we were met at the door and offered our pick of reserved tables for two. Despite appearing to be short staffed, the server was very attentive and knowledgeable of the menu. After corking our bottle of French red wine, we enjoyed complimentary fresh hummas and warm pita. The ambience set us in a warm room making us forget the snowy roads outside. The housemade dressing was the highlight of the salad. It was a simple oil and vinegar dressing with an array of seasonings and fresh mint. For our meals, TasteBudA selected the waitress-recommended Beef Shawarma. This beef dish is a thinly sliced steak, similar to gyro meat, and coated in a flavorful sauce. TasteBudA finished every bite complimenting the tender meat and lemony seasoned dish. 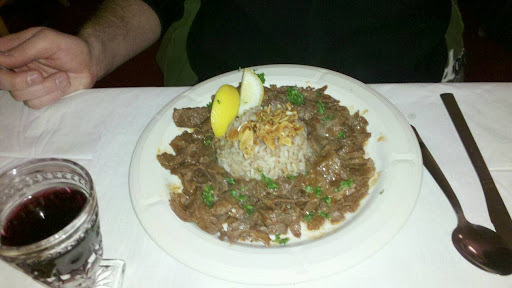 The rice pilaf served in the middle atop the meat offered a nice nuttiness to the dish. 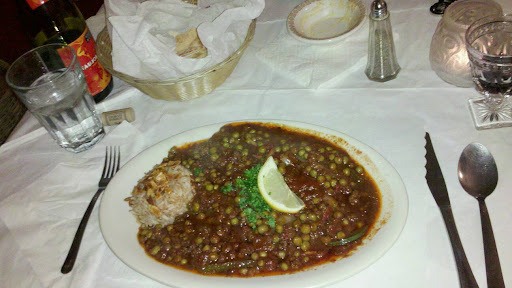 I enjoyed the Bazilla, which was a stew made of ground beef, peas and other mixed vegetables. The rich sauce was the spotlight as it soaked into the rice well. I arrived at the table piping hot and very aromatic. I couldn’t finish the aptly portioned plate, but took a doggie bag hoping the meal would reheat well. TasteBudA enjoyed some baklava for dessert as we finished off our wine. The owner visited our table thanking us for our business and wishing us well in our night. The only downside to the experience was that our reserved table was a folding card table with folding chairs, which tested our skills of getting in and out without spilling our wine glasses across the unstable tabletop. But the food definately outshined this predicament and it was just a blip compared to the rest of the great experience. As a byob restaurant, we hope to work with Tymaz to host a wine exchange later this year. If all goes well, we hope to expose other Pittsburghers to this very unique offering off the beaten path in the north hills of Pittsburgh.